What is the Special Collection? The Braille Special Collection program is designed to increase braille literacy and foster a love of reading by providing blind and visually impaired children with FREE braille books and storybook kits throughout the year. Who can receive the special collection? 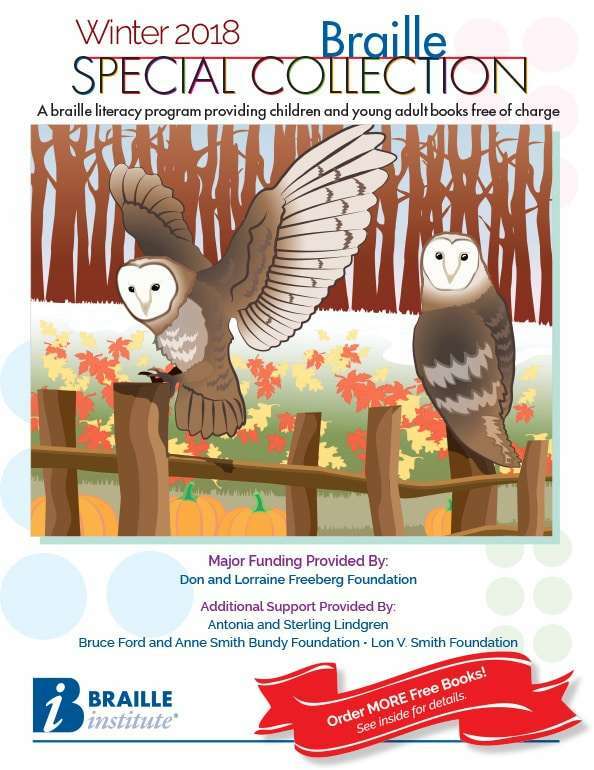 Any visually impaired child living in the United States or Canada is eligible to receive books from the Special Collection. VI teachers or educators may also subscribe to our Special Collection through our program: Partners in Literacy. How many books can be ordered? We are excited to announce that you can now order more books than ever before! *Note: Braille books, five volumes or longer, will be no longer be counted as two selections. Is there a charge for the books? The books are completely free of charge for any blind/visually impaired child or VI teacher by signing up for the Special Collection. How many times will I receive a catalog? The Braille Special Collection produces a catalog twice a year: Spring/Summer and Fall/Winter. Subscribers may order up to 12 books over the course of a year. Multi-sensory storybook kits for preschoolers, 2 to 5 years old. Each includes a picture book with uncontracted braille overlays and manipulatives that represent the characters or concepts of the story. An exciting new set of products developed by Braille Institute’s Publishing and Child Development professionals as a tool for parents to help children expand their vocabulary and enrich their language use. Designed for children 4 to 7 years old, or the early Braille reader. are downloadable books in braille for high school readers. For more information: Call 1-800-BRAILLE (272-4553) and ask for Braille Publishing, or call us directly at (323) 906-3104, Monday through Friday 9 a.m. to 5 p.m. (PST), or email us: specialcollection@brailleinstitute.org. We are no longer accepting orders from the Winter 2018 catalog. The next catalog will be coming in the near future. Downloadable books in braille for high school readers. Click here to go to the Digital Dots portal.